Most major companies from AT&T to Staples now boast corporate blogs, which serve as vital conduit to connect and engage with customers, whether those customers are end users or other businesses. We take an extensive look at corporate blogging and how to best design content marketing plans in our bestselling book, The Business Etiquette Bible, and learned that there are some crucial rules of communications and planning that should be observed when building and leveraging these channels. So before you jump on the corporate blogging bandwagon, you might want to consider a few pointers with regard to high-tech etiquette. All can save potential headaches and hassle, and help ensure exchanges with other parties are more positive – and more likely to inspire them to take action. Don’t assume that effective online communication is a task that can be delegated to just anyone in your organization. Maintaining proper respect for readers necessitates the use of strong communications skills – outreach directly impacts brand perception, and being representative of such, should be treated with utmost care and respect. While contributors can come from every facet of the organization, all posts they contribute should create value for customers, be well-written and grammatically sound, and convey both a professional tone and image. Keep your corporate goals at the forefront of all communications, and post items in keeping with both these objectives and brand image. Posts shouldn’t be overtly self-promotional, but should speak to the stated mission of the business and blog, and – most importantly – be relevant to the reader. Consider your objective: Is it to increase sales, build a brand, or connect with customers? Whatever goal you decide upon will drive your content strategy – while posts may differ in nature and format, all should be in keeping with these designs. Remember that all blogs, bloggers and brands have a professional personality – only post items in keeping with them, and craft tone and dialogue to match. Although a powerful way to humanize an organization and build empathy, unless it’s a recognized facet of its public persona, or the organization is specifically looking to shift perceptions, you’ll want to be judicious with the use of humor, for example. Launching any public communications platform – especially blogs, which are meant to be read on a recurring and regular basis – is a commitment. Expect creating and maintaining one to take significant time and resources, and allocate manpower and budget accordingly – a steady supply of recurring content is necessary to keep viewers returning. Note that a daily posting schedule may require that at least one employee spend anywhere from 30 to 90 minutes on average researching, writing and posting the blog. Establishing a posting frequency is important, as is keeping up with it: Randomly step away from the conversation for weeks at a time, and you may find it difficult to draw readers back. Don’t be discouraged if your blog posts don’t immediately garner thousands of page views upon launch. It takes time to build an audience, but focusing on quality content is the best way to begin doing that. Keep self-promotion to a minimum: While announcements, press releases and other corporate news can be of interest to readers, the focus of a corporate blog should not strictly be on advertising – rather, sharing information of use to end-users. Wherever possible, look for ways to balance promotional postings with content of other kinds: While there’s no hard and fast gauge here, as a general rule, at least 80% of postings should be focused away from pure marketing plays. Look for ways to create value for readers – e.g. by providing inside or exclusive information, sharing access to special deals and opportunities, or simply making readers aware of new trends, developments and insights related to your industry. The best corporate blogs don’t simply rehash news or information: They create it, or add unique perspectives to the conversation. Figure out what topics your customers are most interested in – then provide postings which speak to them in a language that all can appreciate and understand. Note that customers should have a voice in the conversation: Dialogue shouldn’t simply work one way, and feedback and comments must be acknowledged. Communicating with Personality Doesn’t Mean Being Unprofessional. Just because your blog is written in an easy-to-understand, lively, human voice doesn’t mean it should be glib, trite or condescending. Watch what you say as well: All should be appropriate for conversation in a professional context – if you wouldn’t say it around the office, don’t say it publicly on the Internet either. Treat audiences with dignity, respect and professionalism – how you comport yourself reflects directly on your brand. Stay on topic, and make your posts about subjects of interest to readers – not about yourself. Corporate channels should never be seen as a platform for individuals to be self-aggrandizing. Always remember that they exist to serve customers – not one’s ego. How you present yourself here is vital, as it reflects on your company’s image: Spelling, grammatical and technical errors may lessen brand perception in the eyes of certain viewers. Beware of language, viewpoints and tone in posts that are inconsistent with your company’s values and image. All contributors serve as brand ambassadors, and all contributions will be seen as tacitly endorsed by your organization when shared through official channels. Be cognizant of the impression and image that each is presenting. Always strive for clarity and ease of consumption: Communicating clearly and succinctly is crucial to connecting with your audience. Blogs that are too technical, for example, may confuse customers or lead to reader attrition. Consider your audience whenever creating posts, and tailor commentary to them. Blog From Your Company’s Strengths. 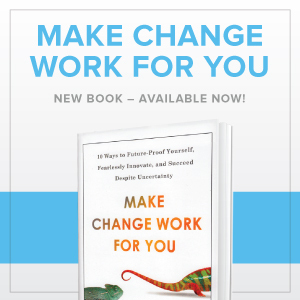 Be unique and insightful – to maximize chances of success, stick to the topics your organization and subject matter experts know best, and present insights and commentary in a singular manner. The goal should be to always provide content readers can’t get elsewhere. Fresh perspectives are vital: To make meaningful contributions to online conversations, it’s important to add information, insights or a unique viewpoint. Simply parroting what others are doing brings little new to the discussion, and therefore provides little incentive for customers to comment upon or share such postings. Make sure your blog and all postings align with and relate to your brand and content strategy goals, helping to further enhance or establish your image. Not all should be overtly promotional – however, each should serve your stated professional purpose. Don’t worry about keeping up with the Joneses. You don’t need to run pricey contests, fancy giveaways or celebrity endorsements to get ahead online: Instead, think of ways you can create singular value for readers that they can’t obtain from other sources. All content – blog posts, white papers, infographics, video commentary, interviews – and postings should be designed for online sharing to maximize outreach efforts. The ability to share content via social media heightens value and interest for customers (and provides possible incentive for pass-along), as well as affords search engine ranking improvements and one-click access to content via incoming links. Where possible, invite users to participate by sharing ideas, insights and content, and publicly acknowledge and thank them for participation – your community is your most powerful online contributor, and should be afforded equal standing and respect. Requesting posts from guest or community experts can be a powerful way to enhance brand image, content catalogue and relationships with third-parties: Don’t be afraid to reach out. However, it’s important to both be respectful of others (e.g. preserving the integrity and substance of their posts throughout any edits, providing photos/bios/linkbacks, and helping them cross-promote the appearance) and ask that they be equally respectful of your business’ guidelines in any such exchange. To ease navigation and improve traffic, always link to your main page, supporting sharing tools, and pertinent social media accounts – contact information, additional content and sharing options should always be one-click away. 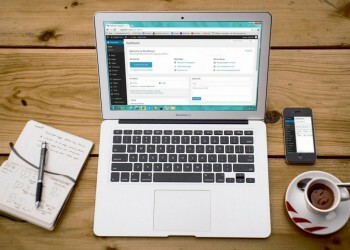 Note that many readers may land on individual blog posts, having discovered your site via search engines, rather than arriving on your main page – wherever possible, incoming visitors should be provided easy access to your blog or corporate website’s homepage, and additional content of interest. For more, also see The Business Etiquette Bible!